Jennifer has been in the fitness industry since the early 1980’s, teaching many group fitness formats. The day she got certified as a Spinning instructor back in 1996, she realized she found her deepest passion for teaching. She has a degree in Exercise Science and is a Certified Personal Trainer, and Certified Strength and Conditioning Specialist. Jennifer is a personal trainer and coach in Vail, Colorado. As a Master Instructor for Team Spinning International from 1997 until September 2009, she presented at international fitness conferences and traveled the country certifying instructors and teaching continuing education. She authored several continuing education courses and many articles for Mad Dogg Athletics and Spinning. After resigning from the Spinning program, she helped create another indoor cycling educational resource, and then in May of 2011, launched the Indoor Cycling Association. Her mission has always been to motivate instructors, students and clients to go beyond self-perceived limitations and take on challenges they didn’t think possible. This has been her own mantra in the creation and launching of ICA, which has become the premier online resource for indoor cycling instructors around the world. By remaining independent, ICA can suggest and support other certifying programs such as Spinning®, Schwinn, Keiser, Real Ryder, Stages Cycling, Indoor Cycling Group, Cycling Fusion, and more. 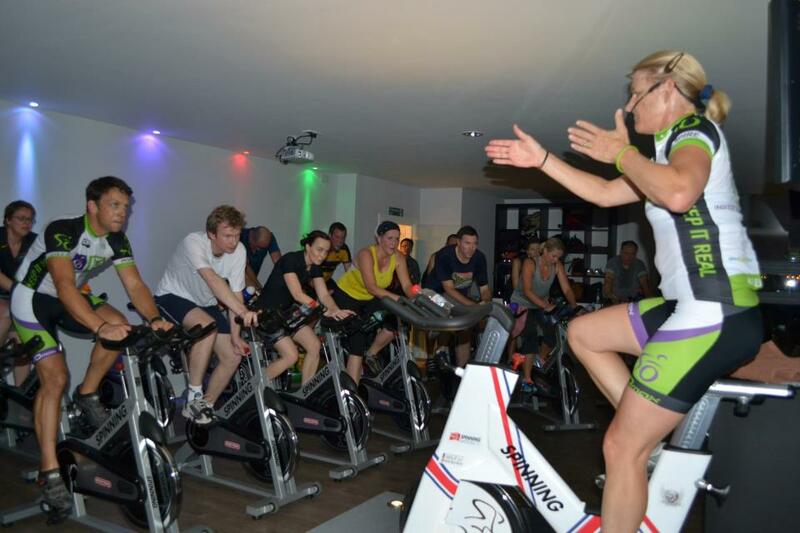 ICA serves as an educational adjunct to every program, for any instructor teaching on any model of indoor bike. The information provided to its members is based on exercise science and cycling science, and is designed to merge what is known to work in endurance coaching in the outdoor world with the group fitness environment. Jennifer is a prolific writer, constantly striving to create relevant, inspirational, and interesting content for ICA. She has written numerous articles for the online magazine Active.com on how to successfully attend and succeed in indoor cycling classes. She is also frequently contacted by the media as an expert in the industry. You may be unaware of how many firsts in the industry for which Jennifer Sage has been responsible. Since she was a Master Instructor so early on in the evolution of Spinning®, many of the techniques that are now so ubiquitous, such as pedal stroke and cadence drills, Tour de France simulations, and lactate threshold field tests, were first introduced to the Spinning® community officially at conferences via Jennifer’s sessions. For a complete list of Jennifer’s cutting edge sessions that first appeared at any Spinning or fitness conference, click here. As an avid cyclist, she raced mountain bikes, and rode her bike across Europe and around New Zealand on self-supported, thousand-mile bicycle adventures. Jennifer endeavors to bring the outdoors inside in her indoor cycling classes, providing realistic, effective yet fun and entertaining profiles for her students, on her blog, at conferences, and now at ICA. She has written two successful e-books: Keep it Real in your Indoor Cycling Classes, aimed at teaching cyclists and instructors how to optimize indoor training to prepare them for outdoor riding, and Top Ten Ways to Stay Motivated as an Indoor Cycling Instructor.